Pidim Globe label frontman and fast-rising Hiplife musician, Kojo Piesie is set to release another potential banger titled “Obooshishi”. 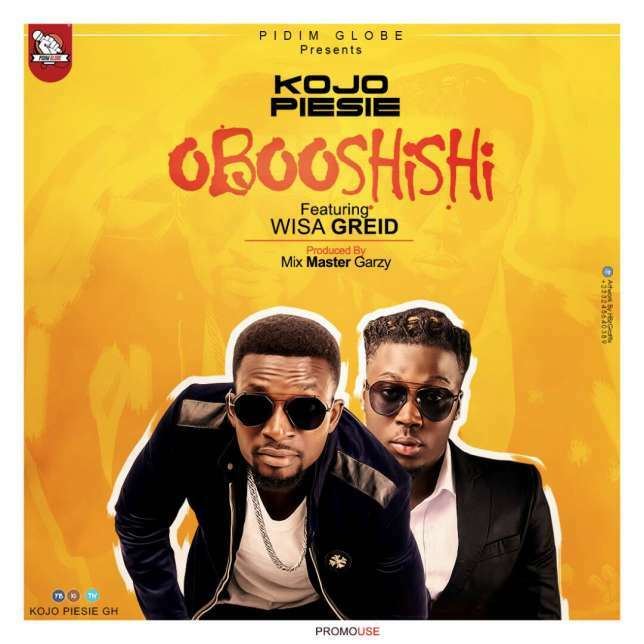 “Obooshishi” features Black Avenue Muzik’s new signee, Wisa Greid and it’s the first track of Piesie after his 4-year study hiatus from the music industry. Explaining the concept of the song, Kojo Piesie told Pulse.com.gh that the mid-tempo Hiplife jam sums up the need to cherish typical Ghanaian ladies. “’Obooshishi’ emphasises the need for Ghanaian guys to accept, embrace and cherish the ladies no matter who they are. No matter the size or shape, they are special and deserved to be cherished,” he said.